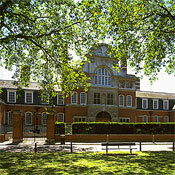 Nicholas Sears, Head of Vocal Studies at the Royal College of Music, works with outstanding young voices. What characterises those accepted onto the courses, and what does the College aim to do for them during their time there? 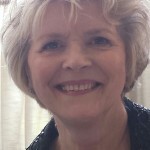 Linda Hutchison is a member of the vocal department of the Guildhall School of Music & Drama, a guest tutor at the Irish College of Music Theatre, Dublin and the Specialist Singing Advisor in the Lewisham Voice Clinic. 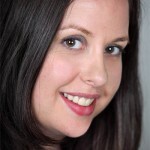 She works with a wide range of professionals from the classical world, music theatre and jazz. She is currently co-authoring a book with Dr Ron Morris on breathing and support based on the Accent Breathing Method. 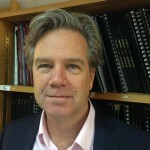 Nicholas Sears has been Head of Vocal Studies at the RCM since 2007. Having performed as an operatic and concert soloist in the UK and internationally for a period of twenty years, Nicholas opted to pursue a career in Artist Management with Intermusica whilst joining the Vocal Faculty at the RNCM. Nicholas is passionate about the sustained development of voices and the responsibility of teachers, institutions and music professionals to prepare singers for a versatile and flexible approach to their career development. 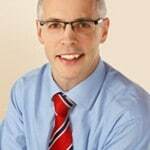 Nick Gibbins graduated from Guy’s and St Thomas’ Hospitals in 1998, trained in London, and was appointed Consultant Ear, Nose and Throat Surgeon at University Hospital Lewisham (UHL) in 2012. He runs a multidisciplinary Voice Disorders Unit at UHL and has a specialist interest in the diagnosis and treatment of all types of voice disorder and of the professional voice. Nicola is a highly experienced educationalist and animateur. She trained as a workshop leader at the Britten-Pears School in Aldeburgh under the guidance of Mary King and Stephen Langridge She works with Streetwise Opera, the BBC on their project Go Sing!, which encouraged the setting up and running of choirs in primary schools , Glyndebourne Young Voices , Aldeburgh’s Albert Herring Feasts, and the Royal Opera House’s Voice of the Future programme 2013-14, Nicola has just been awarded a Scholarship from the Finzi Trust and is the middle of an ongoing residency with Aldeburgh Music, to pursue research into Singing and Parkinson’s. Eleanor started her career at Chetham’s School at Music where she was a first study pianist. Eleanor’s career has since developed in both piano and singing, ranging from membership of the BBC Singers and Monteverdi Choir to accompanying song classes and singing lessons at Banff Centre for the Arts. Eleanor is a passionate educationalist and is highly motivated by the teachings of Kodály which she puts into regular practice in her teaching. She also values highly her work with the charity Lost Chord, performing concerts for people with dementia, for whom she has been working for the last ten years.